Dogs can suffer from sore and stiff joints as they get older, just like we humans. 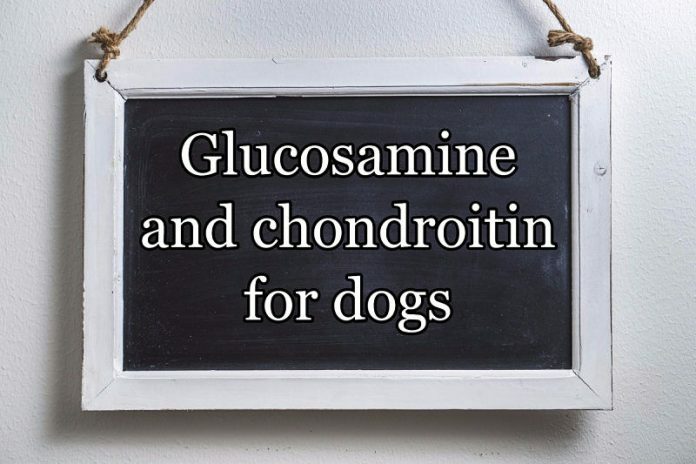 Here some of the benefits of chondroitin and glucosamine for dogs. Dogs are an important part of many families. All dog parents want what’s best for their furbabies. As dogs age, they can often develop some of the same conditions as humans, such as joint pain and damage. Supplements can help, but it can sometimes be hard to know what’s best to give your dog. You can give your pet glucosamine and chondroitin joint supplements which can serve as a preventative measure early in life and for support during senior years. Glucosamine is a natural compound used in the treatment of arthritis for people, horses, dogs, and other vertebrates. It comes from the exoskeleton, also known as chitin, of shellfish such as shrimp, crabs, and lobsters. Some pets that are allergic to shellfish can often safely ingest this supplement, but always feel free to speak with your veterinarian about any supplements you plan to offer to ensure that they’re right for your dog. Chondroitin is also a naturally occurring compound, typically derived from bovine or shark cartilage. Why do dogs need them? Dogs’ joints and spinal discs, like those of humans, can be injured or worn down over time, causing them pain and stiffness. The properties in glucosamine and chondroitin can help the dog’s joints and spine stay vibrant and healthy. Glucosamine stimulates the cartilage to produce both collagen, which reinforces it, and the glycosaminoglycans that lubricate the cartilage cells and strengthen the joint. It also helps provide a vital component of synovial fluid, which reduces friction in the joints’ articular cartilage. Chondroitin benefits include helping the cartilage absorb nutrients, stimulating the synthesis of cartilage, and stopping enzymes from white blood cells that can damage the cartilage. Possible increase in sugar levels. Maintain open communication with your veterinarian about the supplements you give your pet. The vet can be helpful if you notice any side effects. Glucosamine and chondroitin supplements for dogs are available in various forms, including liquids and pills that you can add to the dog’s food. You do, after all, have to get it into their system if it is to provide any of the benefits. Find the method that works best for your pet. The use of glucosamine and chondroitin for dogs has been an accepted part of veterinary care in Europe and the United States for over 20 years. They are a reliable way to help your dog’s joints and spine stay healthy. Talk to your veterinarian if you’re considering using these supplements for your pet.